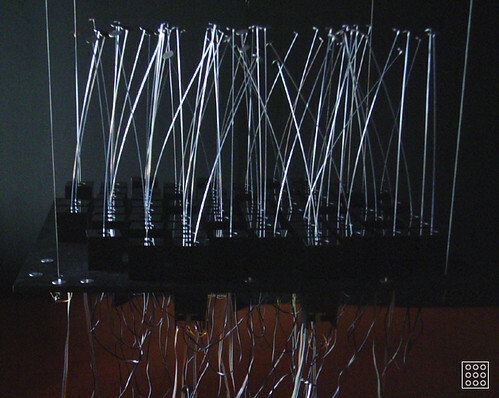 Is an ambient data visualization in tangible physical form of a mechanical plant bed. It is nurtured by networked communication. Gori.Node Garden adopts the idea of Zen gardening to explain an alternative view of network that interconnects between real and cyber space. 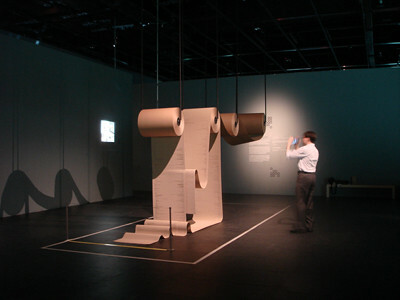 Is an installation that visualises the history of text revisions of four wiki web pages using four giant corrugated recycled paper rolls. The 10 digits ‘1216976400’ is the converted Unix time stamp and it indicates a still frame in time of the wiki-documented content evolution.